With the lighter evenings here, and the sun shining, our KSC Surf Club has kicked off making the most of the clean lines and sunsets! Thanks to our close proximity to the local beaches (a whole 5 minute drive away!) 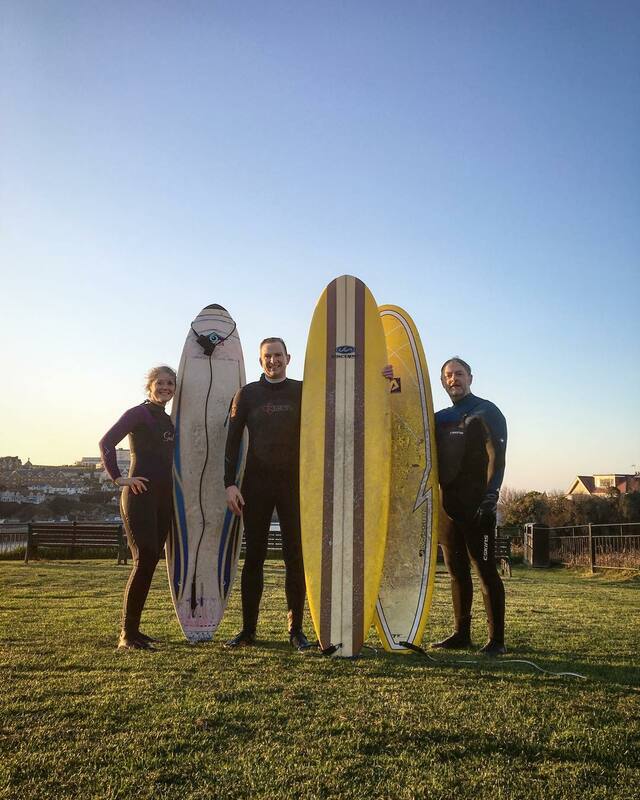 we have a number of sea sport enthusiasts wanting to get in the water so what better way than to all head down after work and catch some well earned waves! We grabbed our boards and wetsuit’s and hit the beach! We’re also lucky to have a number of other clubs and socials for our staff to get involved in thanks to our Healthy Workplace Committee and Social Committee! With a running club and a dance club taking place over lunchtimes, and our very own King’s Slimmer’s Club we’re taking Healthy Workplace to a whole new level. We host Pay Day Drinks the last Friday of every month where we hit Newquay town for a couple of cheeky after work drinks and to let our hair down! We also have an ever expanding employee benefits offering! And this is only the beginning, we are constantly growing and offering new things and listening to what our staff want, fancy joining us? Click here to see our current opportunities!